With all the tasks required of you in the office, don’t you sometimes wonder if you really need to do that? Office chores like reports, statistics, and other administrative tasks that are beneficial to the company, but aren’t exactly increasing productivity? Don’t you just wish there was a person you could hire to help with all these routine tasks so you can concentrate on important functions that keep the business afloat? This is where an online assistant in. 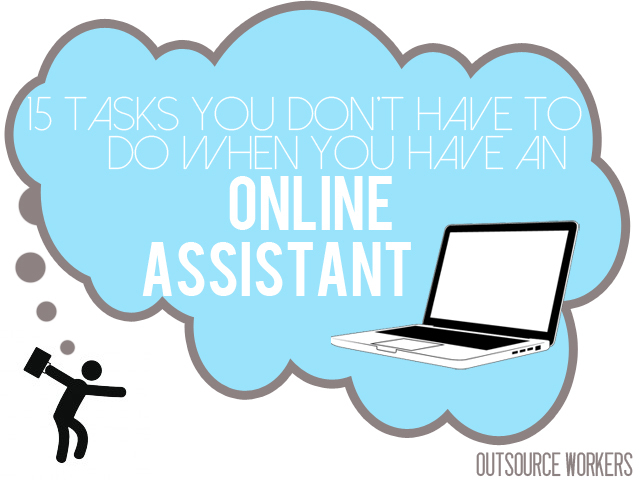 Online assistants, which are often online assistants, help you with other employee-related work so you can put more time and effort on the significant goals. You may feel a sense of security knowing that VAs are around if ever you need their help, but what exactly constitutes as “other employee-related work” that you can pass on to them? Today, we’ll take a look at 15 tasks you don’t have to do anymore when you have a VA in your team. VAs can create, input, and manage your directory of clients and employees, making changes when necessary. This systematic approach turns your database into your company’s greatest asset. In order to stay updated with market trends, VAs observe how your competitors have been doing on a weekly, monthly, or yearly basis. Recording their development ensures that your company is able to adapt with revolutionary and competitive solutions. Instead of hiring an in-house social media team (which can be quite costly), a team of VAs can supervise the social media marketing of your company/products on platforms such as Facebook, Twitter, LinkedIn, and even Google+. VAs can take a look at your database and note which clients to prioritize or even give you new clients altogether. Encoding data takes up a lot of time and energy. Why not let your VA focus on this job instead? VAs can provide you with up-to-date facts about any and all topics that you ask them to gather from any information source. Your hired VA can connect to your pool of clients by sending text messages on your behalf. Are weekly and monthly reports bogging you down? VAs can create documents where all the data you provide will be systematized according to specifications. Let VAs handle composition of letters and invitations to your clients. If you need materials for a presentation of lecture, your number one go-to person should be the VA.
VAs are very much capable of tracking and recording your expenses on a regular basis. VAs are proficient in Adobe Photoshop and Lightroom, ensuring that any photograph you need looks its best. When it comes to re-directing traffic to your main website or managing your blog, VAs are the right people for the job. This “small” task greatly affects people’s view of your website and company. Let VAs take the reins here and see many new potential clients vying for your attention. Why spend a small fortune for an ad agency to create your collaterals when VAs can easily do the job at a fraction of the price? Did we miss out on other tasks VAs can do? Share your thoughts in the comments section below.